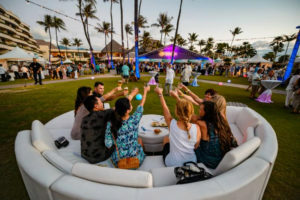 Hawai‘i Food & Wine Festival raised a record $414,000 for 23 non-profit beneficiaries from its landmark seventh annual event. 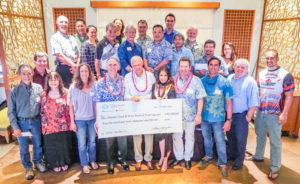 The event, held Oct. 20 through Nov. 5, 2017 attracted more than 10,000 attendees for the first time, and boosted total giving from Hawai‘i Food & Wine Festival to more than $2 million in seven years. 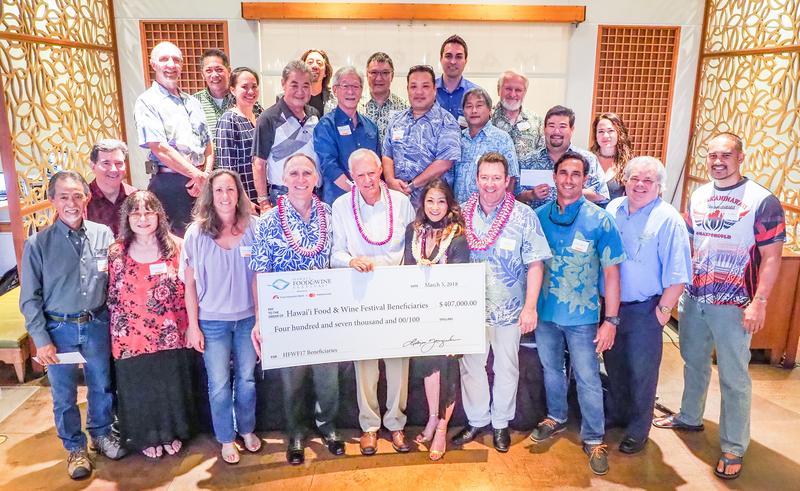 A $407,000 check presented during a Mahalo Reception March 5 at Mariposa brought the grand total for money donated in 2017 to beneficiaries to $414,000 for HFWF. 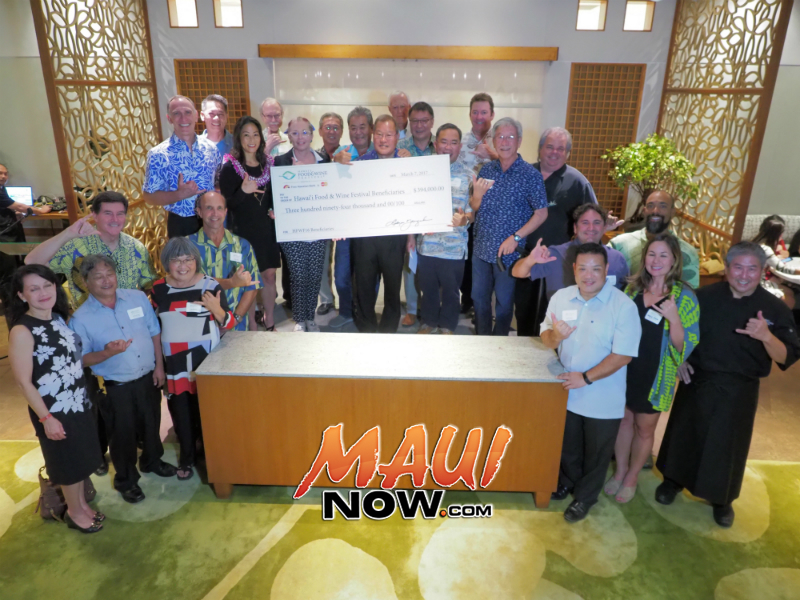 Franklin Arguelles of Roy’s Ko Olina also earned a grant that will cover travel and living expenses to stage in acclaimed restaurants through a partnership between HFWF and the prestigious culinary nonprofit, ment’Or BKB Foundation. 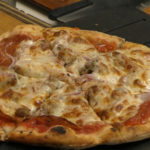 HFWF is a program of the nonprofit, Hawai‘i Ag and Culinary Alliance. Its mission is to attract national and international attention to the extraordinary culinary talent, as well as the diversity of quality locally grown products to ensure Hawai‘i maintains its competitive edge as a world-class destination. 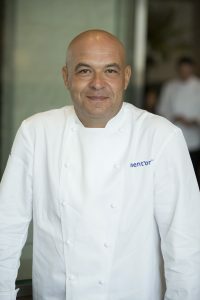 In seven years, HFWF has expanded from a 3-day festival with 30 chefs in Waikiki to more than 20 events spanning on O‘ahu, Maui and Hawai‘i Island. HFWF17 welcomed 10,843 festival attendees, including 1,900 mainland and international visitors to 20 events featuring 120 top chefs, 50 wine makers, and 12 mixologists. 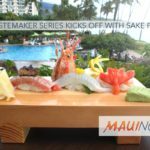 Two new events in May will officially launch HFWF 2018 at The Kahala Hotel & Resort. At that time, the festival will announce the talent and themes for the eighth annual festival happening October 6 – 28, 2018.